Eco Atlantic Oil & Gas Ltd (LON:ECO) (CVE:EOG) has raised US$17mln of new funds to cover its participation in a possible expansion to the exploration drilling campaign offshore Guyana. It is selling 16.1mln shares to new and existing investors at a price of 80p per share, only a small discount to Wednesday’s closing price of 83.2p. In afternoon trading, shares in Eco Atlantic were only down 0.6% at 83p. 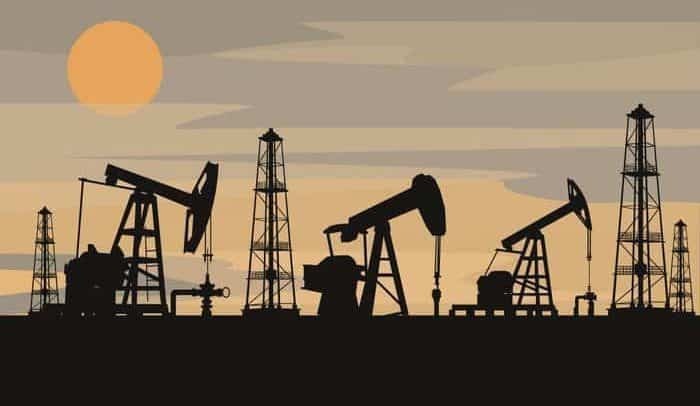 With the injection of cash, Eco told investors it will be able to fund its share of up to four additional exploration or development wells, perhaps indicating confidence among the joint venture partners ahead of the first phase of wells. A two-well programme was already in the books for this year – targeting the Jethro-Lobe and Joe prospects – and Eco recently described itself as ‘fully funded’ for those wells. The Jethro-Lobe well is slated to spud in June. It suggests as many as six wells could potentially be drilled in the Orinduik block, should the first phase of results provide sufficient encouragement. A rapid campaign would somewhat follow the blueprint of Exxon’s neighbouring Stabroek block, where the US major has rapidly drilled and made discoveries in 12 exploration wells since 2015 (unearthing more than 5bn barrels of crude resources). The investment giant Blackrock is stocking up in shares of former punters’ favourite GKP. A regulatory filing shows the American group on Wednesday passed the 5% ownership threshold. While the last year has seen stock in the Kurdistan-focused oiler rise from 100p to 250p, over the recent week the price has become rangebound. The Blackrock investment could be seen as third-party validation for the company, which two-and-a-half years ago underwent a painful refinancing. EOG is looking forward to a potential third-party exploration catalyst offshore Ireland, with China’s CNOOC is due to drill a well to test the Iolar prospect. Exploration success in the South Porcupine basin would be significant for all companies with interests in Ireland’s Atlantic frontier, while for Europa it would specifically benefit the Kiely East (estimated at 280mln barrels) and the Edgeworth (225mln barrel) targets. Europa confirmed that it is presently in talks with a major international oil company over a potential farm-out – of interests in the LO 16/20 (which hosts Inishkea), FEL 1/17 (Edgeworth) and FEL 3/13 (Beckett, Shaw and Wilde) exploration areas – and it described itself as confident that a deal can be concluded in the coming months. It is anticipated that such a deal would see Europa’s costs fully carried on a well for each area, and, the company would retain a “material” interest in the assets too. The company updated on Horse Hill’s Portland reservoir production test as preparation for new drilling programmes near finalisation. UKOG told investors that the well has now been shut-in for a 60-hour pressure build-up test, after which test production will resume. It is anticipated that the drill programme for the HH-1z sidetrack well and the HH2 well is slated to start during the current quarter. Shares jumped on Wednesday following news late yesterday that initial drilling results of the Blazh-10 well on the Monastyretska license, in the west of Ukraine are “encouraging”, although costs were higher than budgeted. The London main market listed independent, diversified oil and gas company said cores taken from the upper part of the Yamna sandstones and a preliminary interpretation of the open hole logs suggest that the entire section could potentially be oil bearing. The group pointed out that the drilling encountered 207 metres of the Yamna target formation, at a depth 50 metres higher than prognosis and in the predicted sub-vertical setting. It added the well is being conditioned to run and cement a 7” casing, which will be followed by well testing, with full log interpretation and testing results to determine the net pay and the expected deliverability of the well. The company noted that the well reached its target depth of 3394 metres at a cost which was 10% higher than budgeted due to severe hole instability challenges which were experienced while drilling. The North Sea oiler told investors it has secured a drill rig for its summer drill programme, which sets the Liberator field development in motion. The company said in a statement that it had hired the Borgland Dolphin semi-submersible drilling rig for the programme, with drilling due to start between 15 July and 15 August. The company highlighted its strong cash position, having revealed a transformational Moroccan acquisition last week. It said it ended 2018 with US$19.8mln of cash and was debt free. It is fully funded for current work commitments which are low, at less than US$1mln. Chariot participated in two drill programmes in 2018 and while neither proved successful, the company noted that they were executed at the ‘optimum point in the cost cycle’. Its share of the Rabat Deep well was covered at zero cost, while the Prospect S offshore Namibia was the lowest cost deepwater well drilled last year (at US$16mln it was significantly under budget). The pre-revenue explorer reported a US$15.1mln loss for the year, including US$10.8mln of impairments against exploration assets and US$3.3mln of administration expenses. SDX revealed it is to rationalise its corporate set-up to better fit the fact that its management team is based in London and its assets are in North Africa. The company, in a statement, said the benefits of maintaining a dual listing and retaining its Canadian domicile status don’t justify the costs. It will domicile to the United Kingdom, from Canada, and also de-list its shares from the Toronto venture exchange. This will be executed with the creation of a UK vehicle, SDX Energy plc, which will acquire the Canadian entity exchanging equity on a share-for-share basis. SDX noted that there’s a lack of interest among Canadian institutions, meanwhile, it believes the formal move to the UK will help further raise its profile in the UK – it added that certain types of investors in London and Europe are unable to invest in non-UK domiciled companies. It hired Robert Bensh as its new chairman, not David Sefton as had previously been announced by the company. The company had, at the end of March, announced that Sefton would be appointed along with James Berwick as a new non-executive director following a proposal coming from a group of its shareholders. Shares jumped in Thursday’s deals after revealing positive results from the Stanley-2 well. The company told investors that analysis of logs and cores from the well identified multiple potential production zones. It includes several Yegua sands which are described as a prolific sequence in the region. Data from two wells drilled at Stanley have been used in a detailed evaluation in order to optimise short-term oil production, whilst maximising long-term reservoir management. Mosman said that the initial completion zone has now been proposed and highlighted that a nearby well, with a completion in the same zone, saw an initial test rate of around 100 bopd, and initial production rates came in between 64 bopd and 51,000 cubic feet of gas per day. Separately, Mosman added that at the Stanley-1 well, four cores from its initial completion zones has confirmed good oil saturation. It raised AU$1.2mln, in a premium priced placing, to ease what was described as “near-term financial pressure”. The company, in a statement, revealed that it will issue new shares to “Sophisticated” existing shareholders at a price of 10 Australian cents per share, a 5% premium to the ASX closing price on Friday. “We welcome the confidence shown in the company by the two existing shareholders who participated in this strategic placement,” said Tony Gilby, Tlou chief executive.